SH City Council is on the case! 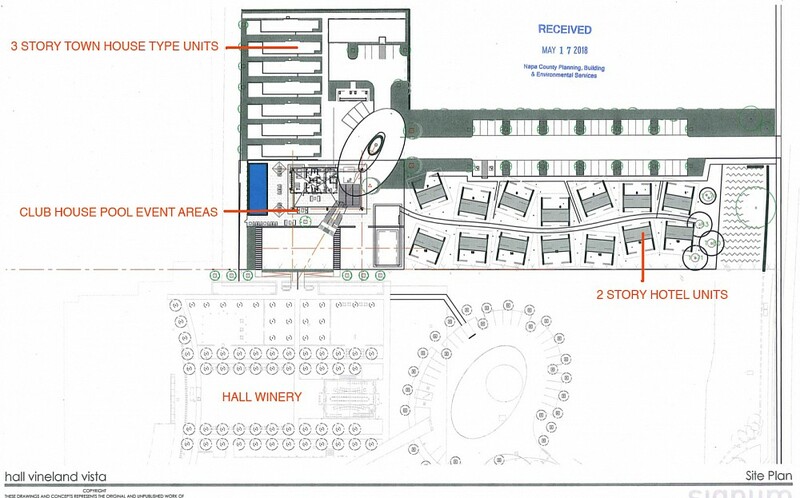 The Halls have just submitted a request for a development agreement and a "minor" modification of the use permit for the mobile home park that they now own next to their Bunny Foo Foo winery. The property was granted a use permit as a mobile home park in 1961 with 18 spaces and 4 structures is now largely a vacant piece of property. The minor modification would allow demolition of the existing structures on the property and the addition of 22 "manufactured homes" and a clubhouse building with pool and event areas. 14 of the two story manufactured homes would provide 28 hotel suites. 7 of the manufactured homes would be 3 story town house units, no doubt for short term rental. There is a direct connection to the garden of the adjacent Hall Winery. The project is called the Vineland Vista Mobile Home Park. This is not a mobile home park. It is a change in use from a grandfathered housing project (affordable housing at that!) in the Ag Preserve to a commercial resort hotel with the obvious increase in staffing, water and daily usage adding to Napa's infrastructure, housing and traffic woes. To treat it as a minor modification of the 1961 use permit, and to claim that it " does not change the overall intensity of use of the Property", is ludicrous. Unfortunately, it is one more indication that the "wine" industry is moving beyond food service and events and into the lodging sector as well (more on hotels in the vineyards here). While being presented as a planned development of manufactured homes, this is an obvious change from residential use not consistent with the definition of manufactured homes. 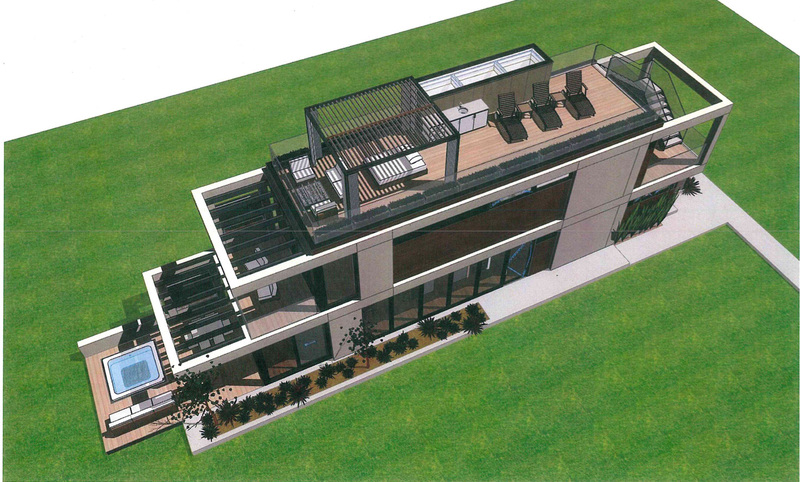 These are not "designed to be used as a single-family dwelling[s]" as defined by the law. Far beyond a minor modification, the project raises the question of a change in zoning use subject to Measure J/P. And as a new use paradigm, it should be required to have a full EIR. Once again the Halls are trying to hide major development projects within the parameters of minor change. Walt Ranch is a housing estate development masquerading as agriculture. This is a trend-setting winery hotel project masquerading as a spruced-up mobile home park.